The product works like an octopus connection port, only it has USB ports instead of more sockets. The way it works is that you plug it in a typical socket, and you can connect up to four gadgets that use a USB cable to charge. It’s quite neat and easy to use, plus it’s also quite handy with dimensions approximately 2.5x2x1 inches, and weighs just like any other adapter would weigh. The Nazetech USB charger now technically allows you to charge USB devices at four time the rate of frequency of charging while looking neat and efficient. While the simple innovation proves to be a great convenience, it would also be nice to see other improvements. For instance, the way the USB ports are positioned in the appliance is a bit awkward. 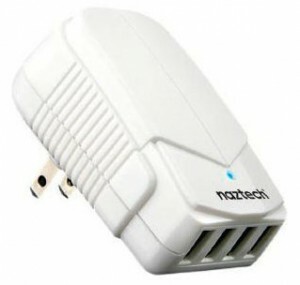 If your socket is on a lower part of a wall, the Nazetech charger, according to how it’s shaped, will require you to plug your USB cable at an angle perpendicular to the socket. So it’s no longer a swift and direct movement. It can be quite a hassle to do or look at. Supposedly, this shouldn’t be enough reason not to buy the product as the net experience is still a better alternative, but it would’ve been nice if the product were designed to really maximize its potential for convenience. Also, more than four USB ports wouldn’t hurt either as many octopus connections typically house two or three extra ports. While the 4-port USB charger could still use some work, there’s no denying the fact that it still ultimately is a neat improvement over the previous scenario where you bicker over who gets to use which remaining outlets at home or the office. 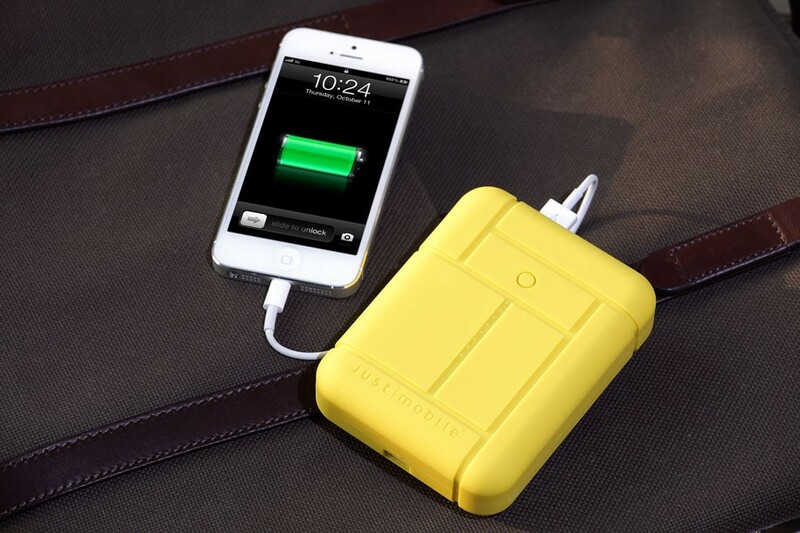 This entry was posted in Power and Charging, Reviews and tagged Nazetech, USB Charger, USB wall charger by csmith. Bookmark the permalink.